Hello my name is Allen Treadway, I have been in the Plumbing, Heating and Cooling trades since 2004. After graduating high school I started working in a factory, I spent every day for 5 years walking to the same press and working 60 hour weeks. After spending that much time in one place I realized that I wanted to do something that was not so repetitive, so I quit my job there and moved on to a maintenance position at a country club. I enjoyed my time there but I still didn't enjoy what I was doing 100%, After 2 years of working there I decided to apply at a local company to work in the Plumbing, Heating and Cooling trades. Finally I found something I enjoyed doing, I was never on the same job long periods of times and I am always learning something new! BUT I still wasn't 100% satisfied with my job, I wanted more! I remember telling some of the guys I wanted to start my own business within the next 3 years, I did receive a few laughs and it seemed to be somewhat impossible. In my head nothing is impossible and I believe you can do what ever you put your mind to! I met my future business partner Joe Biagio at the same company, we worked together during the 8am to 4pm work day and started to build a pretty good cliental for after working hours and weekends. After a few years of doing 60 plus hour work weeks again, I started to push Joe into the two of us teaming up and starting a business together. My daughter was due to be born July 19th of 2007, that was my final day of employment with that company. I was able to spend a few months with my wife and daughter while I set up the business and continued to work in the evenings until Joe quit in October of 2007. With out the support of my wife and my daughter and my business partner Manor Mechanical would not be possible! Hello my name is Joe Biagio. I have enjoyed being in the Plumbing, Heating and Cooling trades since 1993. 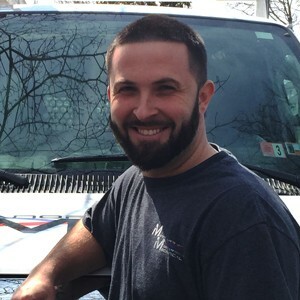 I started as a plumbers apprentice after graduating from high school and attended a vocational school to get certified in the HVAC trade. 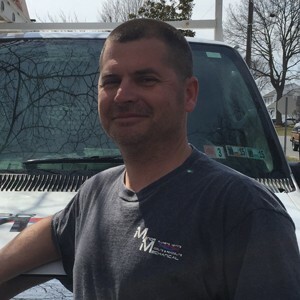 I have had the privilege to be involved in all areas of the Plumbing, Heating and Cooling trades( service, installation, remodel & new construction) for close to 20 years. While employed at my previous employer I worked in the evenings for my own customers to supplement my income so my wife could be a stay at home mother while my children were young. As time went on I always dreamed of owning my own business. So I spent many hours after work building relationships with customers on my own until I had a large enough customer base to go out on my own. In 2007 myself and my partner Allen Treadway started Manor Mechanical and it was one of the best decisions I made. I not only enjoy the work I do every day, I also like the fact that I build new relationships with new people each work day.